The American Forbes has made the traditional rating of Fintech 50 included companies which products and services were be able to change the future of the financial services industry. 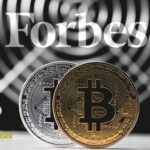 It is noteworthy that five cryptocurrency companies published in the list. 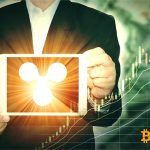 Thus, in the blockchain and cryptocurrency sector, the publication noted the merits of Coinbase, Circle, Axoni, Gemini, Ripple and Bitfury (the only company outside the jurisdiction of the United States). Note that Circle (market capitalization is about $ 3 billion) and Coinbase (market capitalization is about $ 8 billion) created the CENTRE consortium to promote stablecoin USDC. Recall that last year’s Fintech 50 ranking featured Bitfury, Blockchain, Coinbase, Xapo, ShapeShift, Ripple, Chainalysis, Chain, Robinhood and Veem. © 2018 bit.news | queries 228, for 0.161 sec.